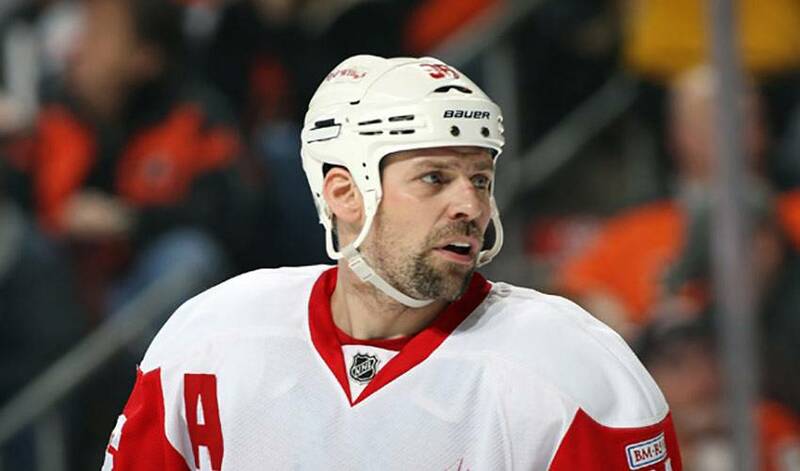 When the 2011-12 season started, Tomas Holmstrom didn't need to be reminded he was on the verge of a major milestone. He had plenty of people making sure he didn't forget. He came into the current campaign having skated in 952 NHL regular season games, all with Detroit, a four-time Stanley Cup champion and an Olympic gold medal winner. A pretty impressive career, no doubt, which was about to add another impressive accomplishment to its list. For the 39-year-old native of Pitea, Sweden, it was akin to a momentous birthday. And for the 257th overall selection of the Red Wings, it's been a truly great ride, one he never expected to last as long as it has. His initial goal, after making the team and signing a two-year contract, was rather humble in nature. It turns out, Holmstrom, who won the Elitserien gold medal with Luleå Hockey in 1996 and was named to the Swedish All-Star Team in the same year, didn't need to make alternative arrangements. His penchant for setting up shop in front of the opposition's net, the unwanted centre of attention who had to contend with defencemen trying to extract from the crease area while slapshots came whizzing in from the blueline, made him one of the team's most effective weapons. Holmstrom, who scored his 30th goal of the 2006–07 season against the Chicago Blackhawks, achieving the first 30 goal season of his career, is proud of his on-ice calling card. He's also a dangerous player come the post-season. In 175 playoff games, he has 45 goals, 95 points, along with nine game-winning tallies. But for Holmstrom, who has two game-winning markers in 2011-12, success isn't always measured by seeing his number on the scoresheet. One that saw him become the 271st player in NHL history to reach the milestone, but just the sixth to do so in a Wings jersey. At one point in his early career, he was a seldom-used forward, but the man who will turn 40 next January, has carved out an enviable NHL life, one he continues to work hard at. As for the notion of playing in 1,500 games, Holmstrom simply laughs. It also happens to mean a lot to many others, people only too happy to fete Motown's man in front of the net.